Hello. Welcome to Grass. We are brand strategy and design consultants. We help grow businesses and non-profits through clear messaging, stunning visuals, and connected experiences. Did you ever wonder what drives customers to brand loyalty? Just follow the Wegmans recipe and you’ll be creating Superfans in no time. Business Advice From a Used Car Salesman? YES! Remove the friction from your sales cycle and win your customer’s heart. Five examples of brands that provide delight in the most unexpected places. Knick knacks are most certainly NOT food. Yet, believe it or not, this is the new brand from Blue Apron. One Keto Bowl. Hold the Thinking. We all know that in order to succeed, we must give our customers what they need and want lest we become the next Blockbuster. But this move from Chipotle is just so much better than that. Will this innovative, eco-friendly packaging solution cement brand loyalty in current Carlsberg beer drinkers? Hell yeah! Got a big idea but not sure where to start? Most businesses struggle to get noticed, wasting time and money along the way. We help you break free from the white noise with a clear message and captivating design so you can attract and engage customers and grow a more profitable business.  "Grass exceeds any agency I have ever worked with. They’re not just my agency, they are true partners in my success."